Krenek’s Kleine Symphonie Op. 58, 1928, was premiered in Berlin, conducted by Otto Klemperer. 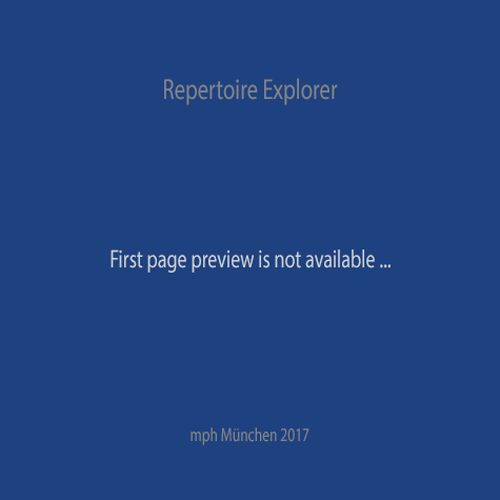 The score and parts were published by Vienna’s foremost publisher of contemporary music, Universal Edition 1. Scored for 2 flutes, 3 clarinets B-flat and E-flat (bass clarinet), 2 bassoons (contra bassoon), 3 trumpets in C, 2 trombones, 1 tuba, harp, 2 mandolins, 1 guitar, 2 banjos, timpani, percussion (tenor drum, side drum, bass drum, cymbals), 2 violins and 2 double basses, it shows a rich inventiveness in orchestration influenced by his teacher Schreker and Krenek’s foray into neo-classicism whilst embracing the modern sounds of contemporary Vienna. The unusual list of instruments incorporates a jazz sound with plucked instruments like the mandolin (the archetypal symbol of Picassso2), banjo and guitar which are paired in interesting ways exhibiting Krenek’s ability to create “a new sound cosmos from the smallest elements”.3 The piece is an ever-changing kaleidoscope of sounds blending/jarring and ultimately working together to make a Persian carpet of auricular colours. Krenek comments that the whole piece is “really jazzy”. 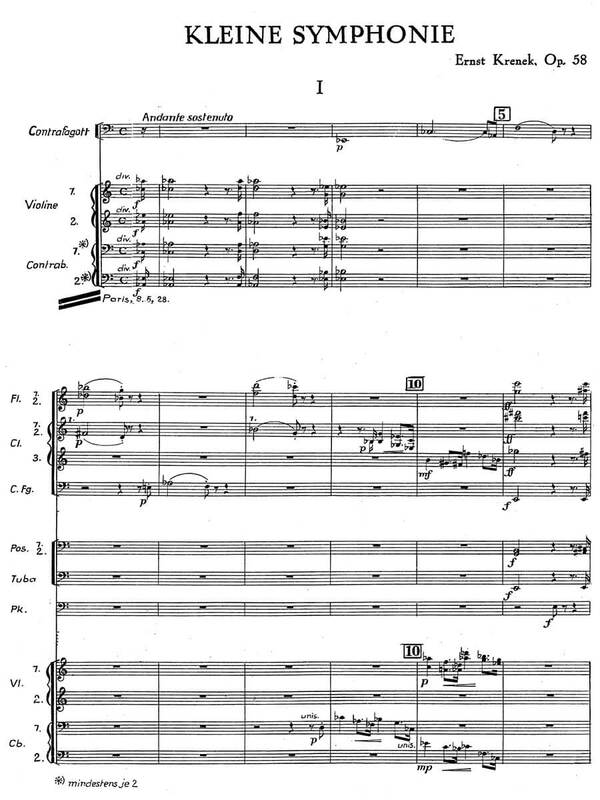 4 This work follows Krenek’s embracing of atonality in 1920, his visit to Paris in 1924 where he was influenced by neo-classicism, his highly successful opera Jonny spielt auf (1926) with its jazz influences but comes before his espousal of Schubert in his Reisebuch aus den östereichischen Alpen of 1929. Each movement is a distinctive entity in terms of pace and rhythm however, there are certain techniques such as the use of ostinatos, counterpoint and the neo-classical forms which link them together creating a unified whole.